The singing of birds is one of the most refreshing sounds in nature, which can provide great joy and peace to both body and mind of human beings. 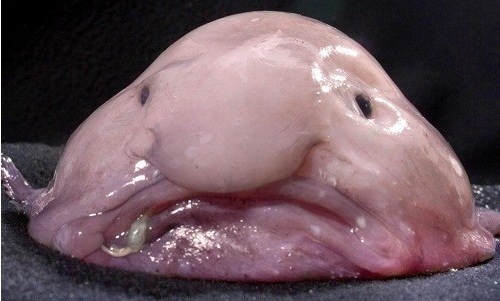 Nothing can be more refreshing than hearing this joyous sound every morning as you wake up. There are some species of birds which are able to sing, the males in almost all of them singing to attract the females. Orange winged Amazon is basically a parrot name, which has more of orange on its tail and wings. The bird makes high pitched calls which have a musical quality. 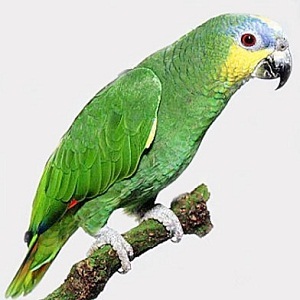 This bird is native to mainland South America, as implied by its name. 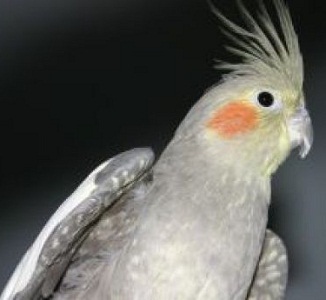 Another famous singing bird is the whistling cockatiel, which have the ability to produce smooth and melodious whistling sounds. These sounds are produced by the male birds, and some of these surprisingly sound like songs, which they can pick from the sounds around them. 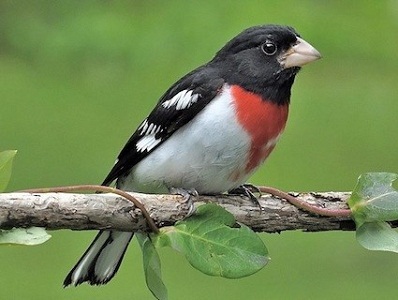 Rose breasted grosbeak is another attractive singing bird, which frequents Northeastern US and Canada. The bird is characterized by red colored triangle on its breast and has a soft melodious voice. Both male and female in this species are good singers. 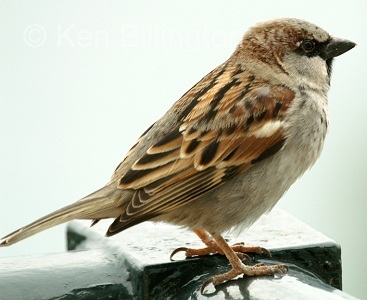 House sparrow is one of the most common birds in the world, which are known for their melodious chirpy sounds. The males among these small birds usually use various notes to attract the females, while the females chatter softly on seeing a male bird. 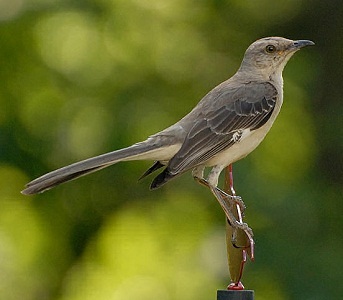 The peculiar named bird called mockingbird features next among the best singing birds in the world. The sound produced by this bird has a mesmerizing quality, which appears superior as compared to that of the other birds. It has been renowned as the most versatile singing bird on the planet. One of the most amazing singing birds is the song thrush, which can be found in the gardens and woodlands of Asia, Africa and Europe. 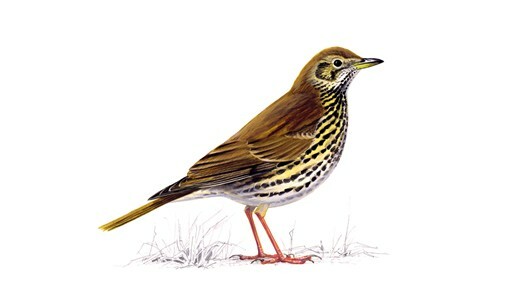 This little bird can produce a wide array of notes put together as a song, thus giving them the name of song thrush. These birds perch on top of trees and sing in pairs. 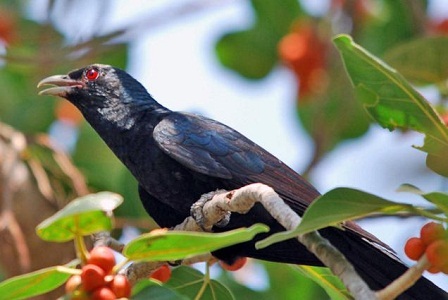 Featuring next on the list of singing birds in the world is the melodious member of Cuckoo family called the Asian Koel, which frequents Asian countries of India and Bangladesh, besides being found in South East Asia and Australia. You can mostly hear them sing from March to August, which is their breeding season. These birds have a wide range of tuneful calls, differing in males and females. 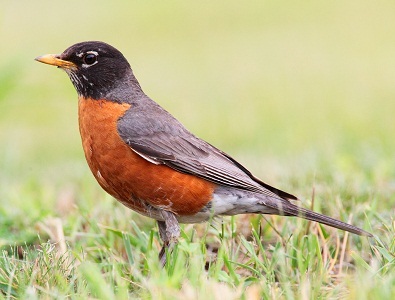 American Robin is a bird recognized for its melodious singing and striking appearance. The song of this bird consists of sequential whistles, which are repeated in different pitches. The most surprising thing about this singing bird is that its song varies with the time and the season. The morning song is pleasant, while it makes alarm calls when it feels threatened. 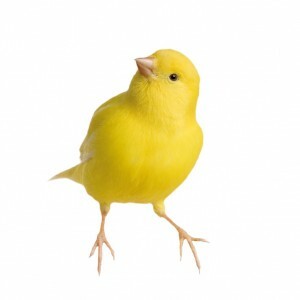 The colorful bird canary, which is native to Canary Islands, comes next on this list. The males in this species of birds are known to produce melodious humming sounds and also have the ability to imitate sounds which they hear from their surroundings. This quality makes them ideal as pets. These birds can be heard singing throughout the year, except in summer. Nightingale is the bird acclaimed to produce the sweetest sound, when we talk of singing bird species. 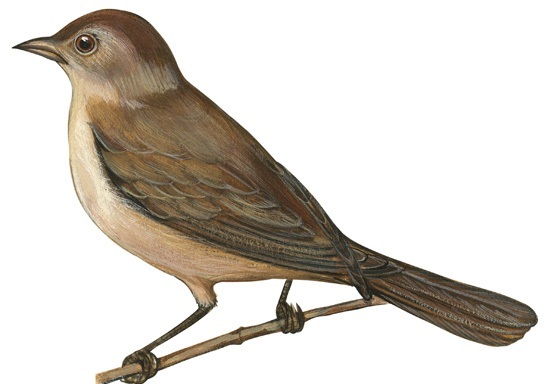 The sounds and melodies produced by a nightingale are wide in variety, ranging from whistles, gurgles and trills. Common in Asia, Europe, Africa and Mediterranean region, this simple looking bird is a marvelous creation, which has found place in the world of books, poetry and music. Some other attractive singing birds are Yellow tailed Black Cuckatoo, Black-billed Magpie, Common Loon, Channel Billed Cuckoo and Veery. All these birds produce sweet sounds which attract humans.